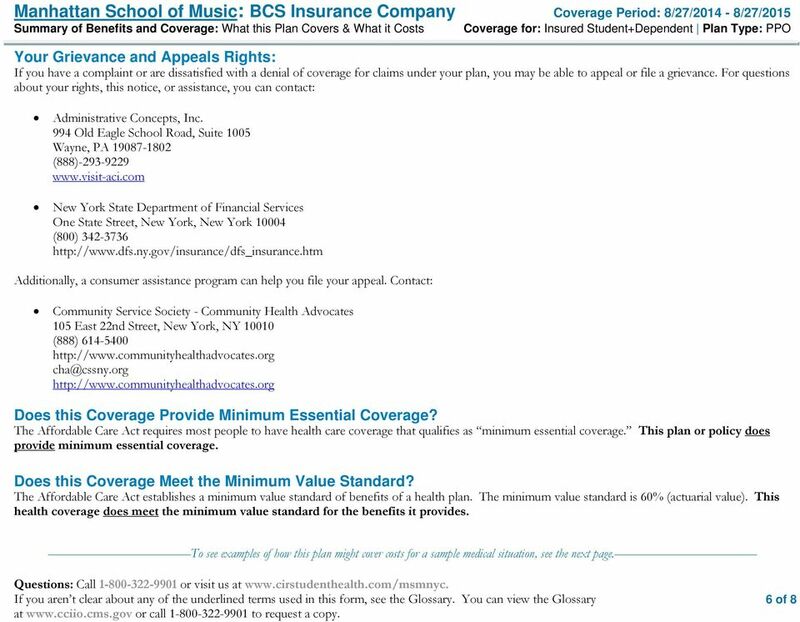 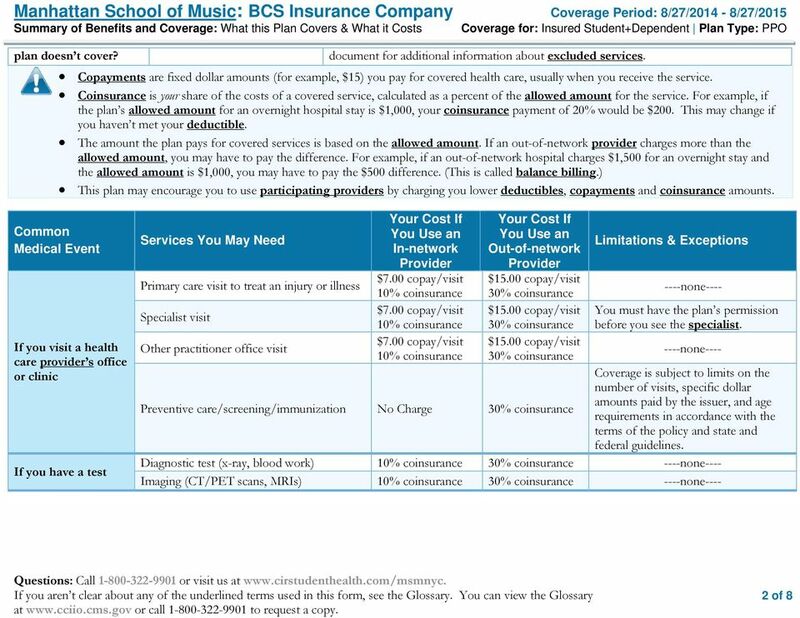 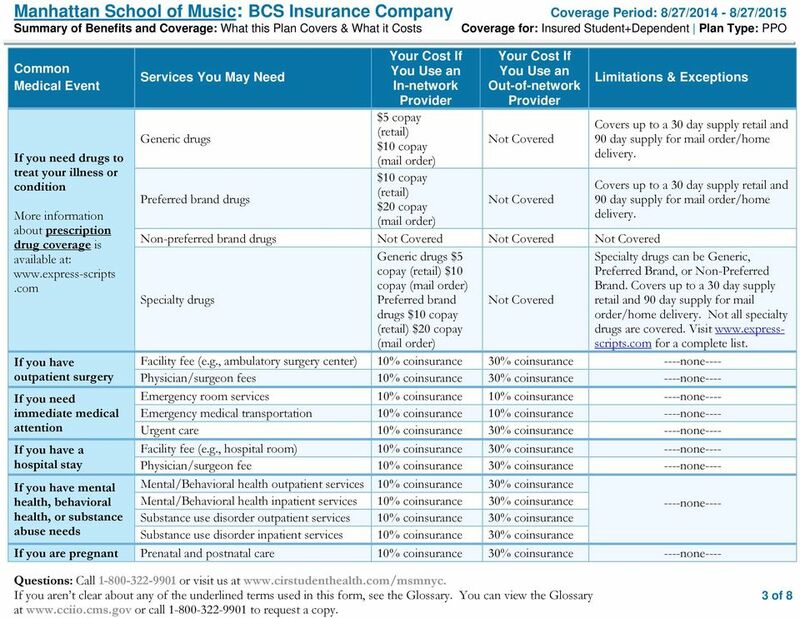 Download "Manhattan School of Music: BCS Insurance Company Coverage Period: 8/27/2014-8/27/2015 Summary of Benefits and Coverage:"
This is only a summary. 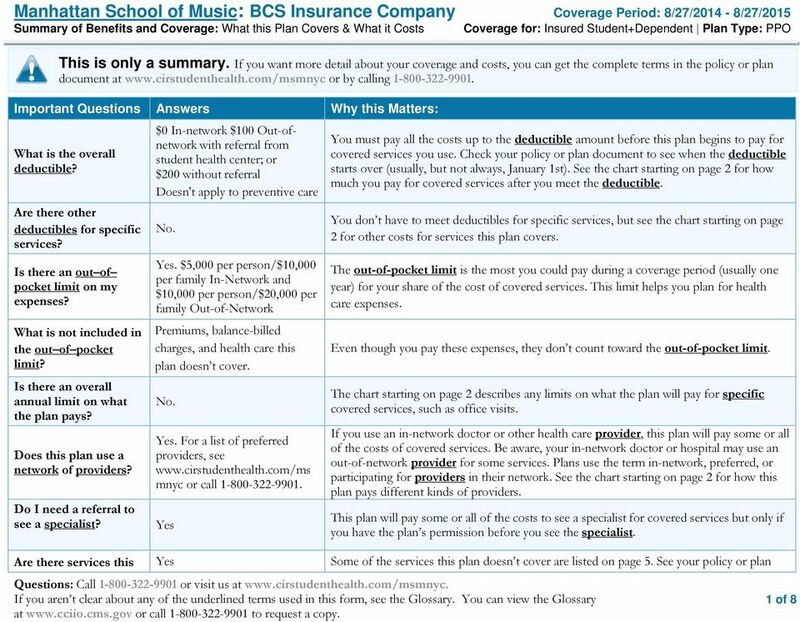 If you want more detail about your coverage and costs, you can get the complete terms in the policy or plan document at www.summitamerica-ins.com/wscc or by calling 1-800-955-1991. 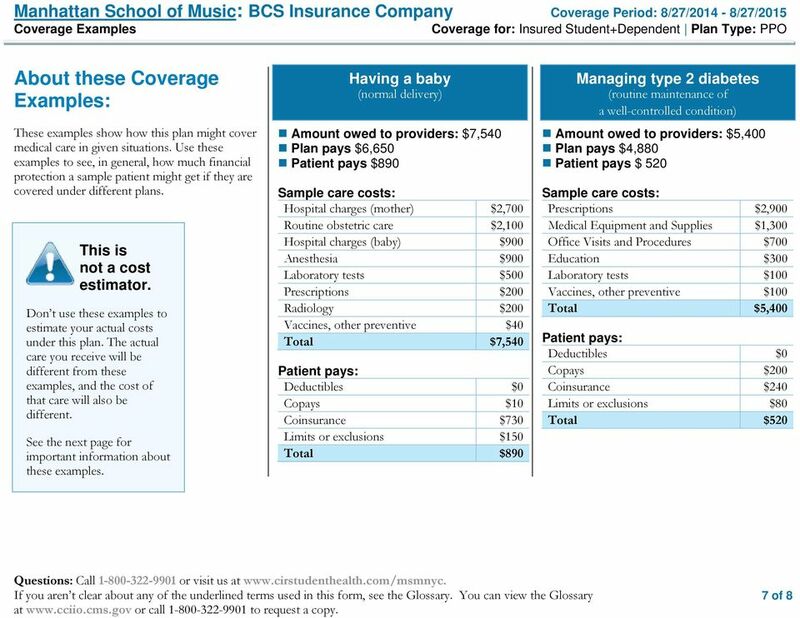 This is only a summary. 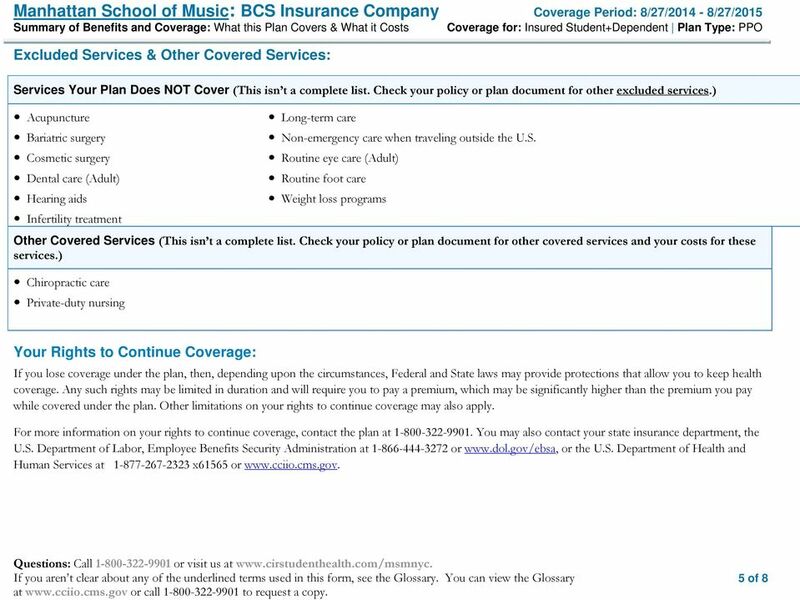 If you want more detail about your coverage and costs, you can get the complete terms in the policy or plan document at www.cirstudenthealth.com/haverford or by calling 1-800-322-9901. 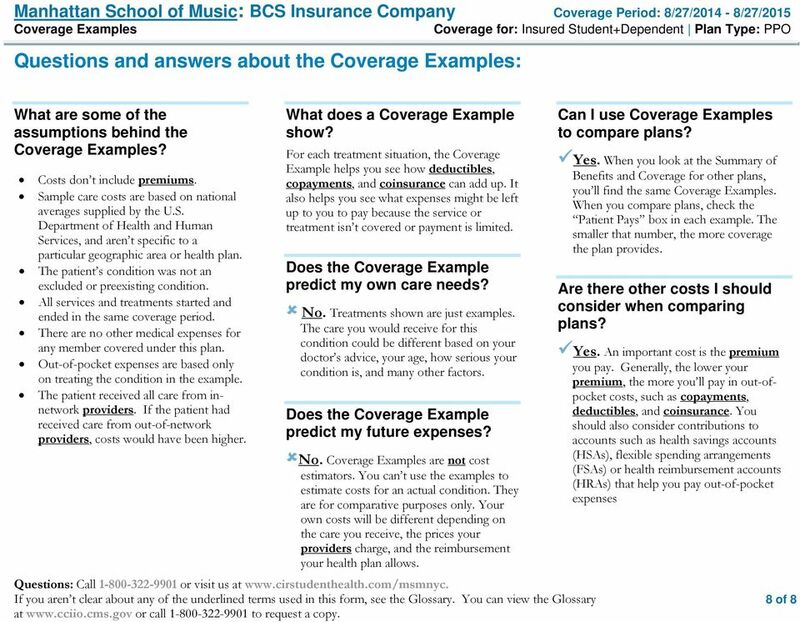 This is only a summary. 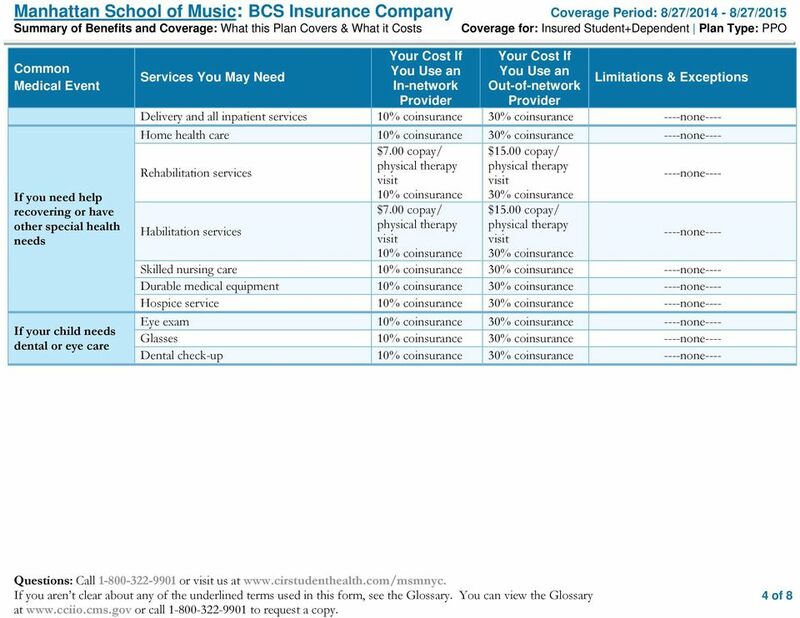 If you want more detail about your coverage and costs, you can get the complete terms in the policy or plan document at www.landoflincolnhealth.org or by calling 1-844-674-3834.